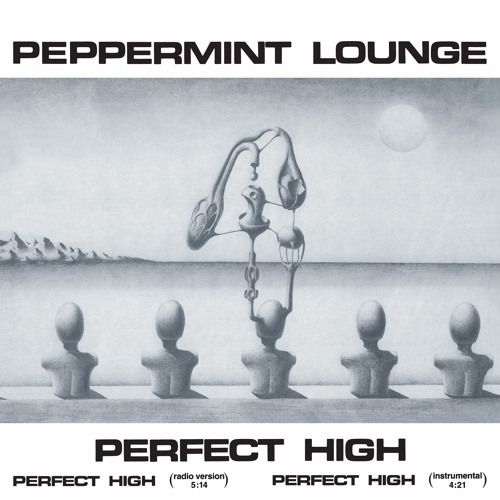 BUY VINYL: http://www.darkentriesrecords.com/store/vinyl/peppermint-lounge-perfect-high-12/ Dark Entries Editions is proud to reissue "Perfect High" the 1983 debut 12” by Peppermint Lounge from Germany. The group consisted of Matthias Elvers (synthesizers, bass), Regina Petersen (vocals) and Jorg Burckhardt (drums, strings). They took their name from a popular 1960s discotheque in New York City. Treading the lines between Italo Disco, Electro, and New Wave, the trio crafted a unique sound difficult to classify. Regina’s powerful vocals command attention as they tell the sad tale of a boy searching for the perfect high. The lyrics are based on the poem “The Perfect High” by Shel Silverstein. Melancholic arpeggiators, a throbbing baseline, stuttering samples, vocoder and the classic Roland TR-808 drum machine run throughout the track, which builds to a majestic crescendo, ala Klaus Schulze or Jean-Michel Jarre. This reissue includes the original vocal version, backed with a shorter instrumental version. All songs have been remastered for vinyl by George Horn at Fantasy Studios in Berkeley. The 12” is housed in an exact replica of the original sleeve with black and white Dali-esque drawing. Each copy also includes a 2-sided postcard lyrics and notes. Thanks for the repress Josh ! Love it and can't wait for the high qual re mastering like we are used from D.E. !